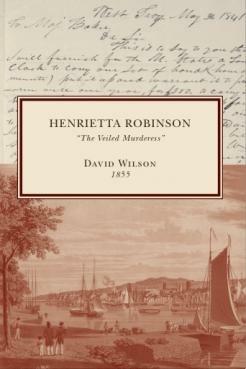 A woman calling herself Henrietta Robinson was a woman of infamy, beauty and murder. In 1853, she was convicted of poisoning two Troy, NY citizens with no motive or reasoning. Never taking off her veil during the trial or revealing or real name, she became known as "The Veiled Murderess." The aura of mystery surrounding her continued into what David Wilson writes are "the proceedings of one of the most important criminal trials that has ever taken place in this country." This facsimile reproduction of Henrietta Robinson by David Wilson was originally published by Miller, Orton & Mulligan in 1855.